We focus on our life because life is major Priority for everyone and you should take yourself, and drive carefully, Pakistan govt has set the department for our life safety and that Department is National Highways and Motorway Police (NH&MP). It is the Respectable Department so we want to join the Motorways Police but we don’t know complete criteria that we are eligible or not. So the Gotest.pk will provide you complete criteria, and about its preparations.Here we are providing you the Online Testing Service for the all type of tests for the Preparations. So you must attempt our these tests its all about you and totally free for you and get preparations. 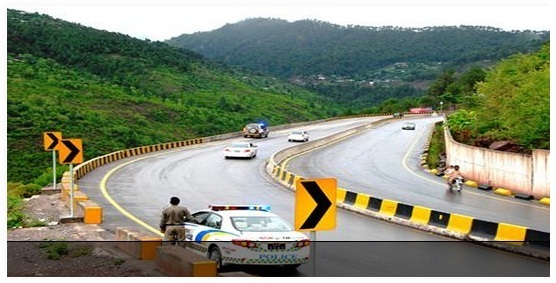 National Highways and Motorway Police (NH and MP) is a police force in Pakistan that is responsible for enforcement of traffic and safety laws, security and recovery on Pakistan’s National Highways and Motorway network. The NH&MP use SUVs, cars and heavy motorbikes for patrolling purposes and uses speed cameras for enforcing speed limits. To ensure a safe and secure driving environment on Highways and Motorways. Service above self, to ensure safety and security of road users, and provide prompt assistance to road-users in distress. In this endeavour, it is indeed our commitment to extend due respect to all road users, be fair and uphold ethical practices at all times. SPO (Senior Patrolling Officer) 16 Graduation at least 2nd Division (Preferably Law) and LTV Driving Licence 20 Years to 27 Years 5′ 8″ for Male 5’4″ for Female 3.5 to 35 with Expansion for Male only. PO (Patrolling Officer) 14 Graduation at least 2nd Division and LTV Driving Licence 18 Years to 25 Years 5′ 8″ for Male 5’4″ for Female 33.5 to 35 with Expansion for Male only. APO (Assistant Patrolling Officer) 07 Intermediate, LTV Driving Licence, 03 Years driving experience 18 Years to 25 Years 5′ 8″ for Male 5’4″ for Female 33.5 to 35 with Expansion for Male only. JPO (Junior Patrolling Officer) 05 Matric, LTV Driving Licence, 03 Years driving experience 18 Years – 25 Years 5′ 8″ for Male 5’4″ for Female 33.5 to 35 with Expansion for Male only. Submit complete application in all respects. Qualify the physical test including running, height and chest measurements etc. The selected candidates are examined for medical fitness. Physically and mentally fit candidates are then ready for National Highways & Motorway Police Training. Attempt these Test for the Preparations and comment us regarding any issue and suggest us that what more we should add here and improve. My name is hamza khan and i m a BS student.i want to join motorway police. Sir give me a chance plzzz. Sir I myself usman waris. I want to join motorway police. Sir i am sundas i have done my masters in urdu and now a days mny master in englis plz 1 chance..my contact.03013714100.